Do you own Samsung Galaxy A6 Plus? if yes, then here we are providing official drivers for your phone. Just follow the article and you are good to go. 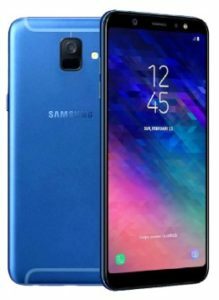 Samsung Galaxy A6 Plus is a high-end smartphone that comes with a large display of 6.0 inches considering Super AMOLED capacitive touchscreen. The resolution of display is 1080×2220 pixels. The phone packs internal memory of 64 GB with 4 GB RAM or 32 GB with 3 GB RAM and the memory can also be expanded to 256 GB via micro-SD card. If you are interested in photography, then you need to catch Galaxy A6 Plus as it offers Dual 16MP + 5MP Primary camera with LED flash including features and 24MP secondary camera with LED flash. The connectivity medium include WLAN, Bluetooth, GPS, Radio, NFC and USB. It is powered by octa-core 1.8 GHz cortex-A53 with Li-Lon 3500 mAh battery to increase the stability and performance of the phone. The price of Samsung Galaxy A6 Plus in India is nearly 24,750. Download USB Driver for Galaxy A6 Plus Smartphone. Let us know in the comment section if you are facing problem related to this post.